The Italia Collection is quite simply the most luxurious range of composite doors in the UK market today, which has been inspired by the Italian passion for design and style. 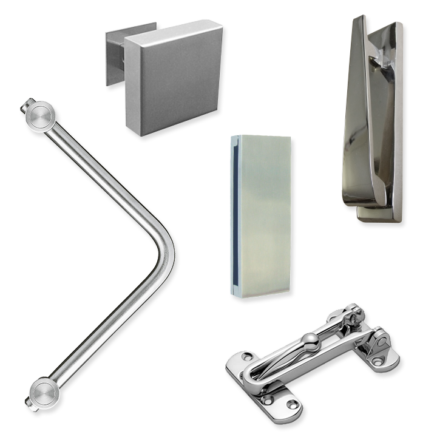 There are 19 exclusive designs, each with a range of complementary solid stainless steel designer handles and accessories. There's even the option of handmade Warwick Glass, where two pieces are never the same and also matching side panels. As with any Solidor product, the Italia Collection reflects outstanding product quality and attention to detail. Composite doors never looked so good. Not only does Solidor offer the market’s widest range of composite doors, but we can also offer homeowners the option of a sumptuous sculptured door frame or a contemporary chamfered door frame in 18 different colour combinations. These are manufactured from lead-free materials by Kömmerling, one of Europe’s leading PVCu extruders. 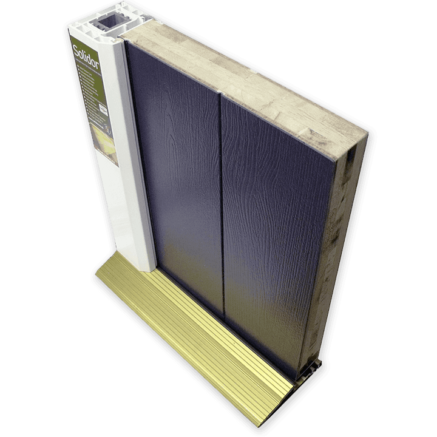 We can also offer a range of Stormguard low thresholds, while are all mobility friendly. It’s the vibrant and authentic colours applied to the entire Solidor range that distinguishes them from other composite doors. 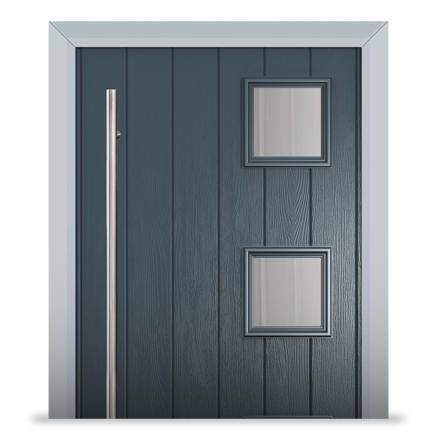 Over the years, we have engineered a stunning array of finishes, currently boasting 20 colourways that can be utilised in each individual door design internally and externally. 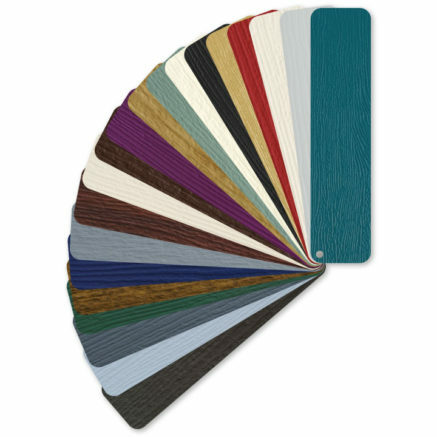 Choose a single finish for your favourite Solidor or mix and match by choosing two complementary colours. It goes without saying that glass plays a hugely important role in the overall appearance of your front and back door. Solidor is able to provide you with numerous decorative glass options for your chosen design including bevelled, coloured and textured glass. 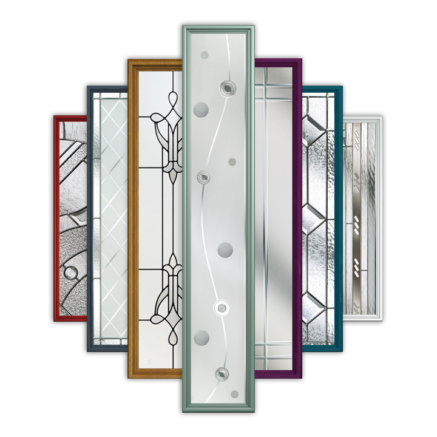 Simply tell us which type of glass you prefer and our designers will integrate it into the door so that you get something that feels truly unique to you. We can help you enhance your Italia Collection door with a wide range of dedicated accessories including handles, door knockers and letter plates. We can even offer many of them in several finishes including modern brushed steel, contemporary chrome, traditional gold, new black chrome, black and white. We can now offer an exclusive range of handmade traditional ironmongery including handles, knockers and letterplates that can add a real touch of class to any door. There are 5 door handles in the range, along with a stunning ring knocker, available in black and pewter. These exciting new products are equally at suited for both traditional and contemporary homes. With the Italia Collection, anything is possible! It seems only fitting that the UK’s most secure composite door now features the country’s most secure locking system; the Ultion. It’s called the ‘Ultion’ because it offers the ultimate in locking protection, capable of sensing an attack and subsequently engaging via a hidden lock to prevent intruders gaining entry, even when snapped twice. 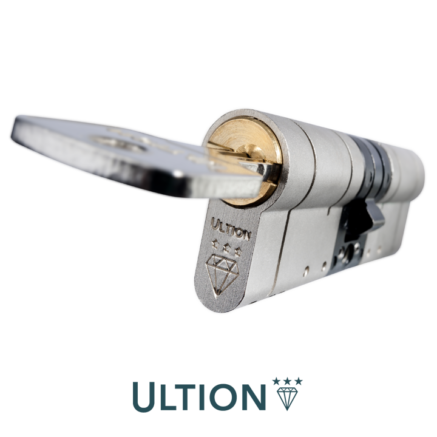 Analysis has shown that the Ultion easily outperforms the very best 3 star locks in a variety of different tests and when locked, stays locked. No key, no chance of burglary; the Ultion really is that good.